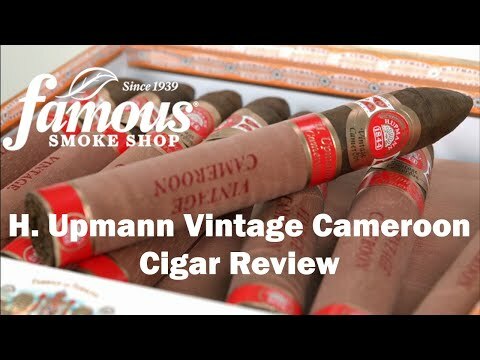 H. Upmann Vintage Cameroon Belicoso cigars are a full-flavored departure from the milder H. Upmann cigars. This shape earned a 92 in Cigar Insider for its depth, balance and gorgeous Cameroon wrapper. 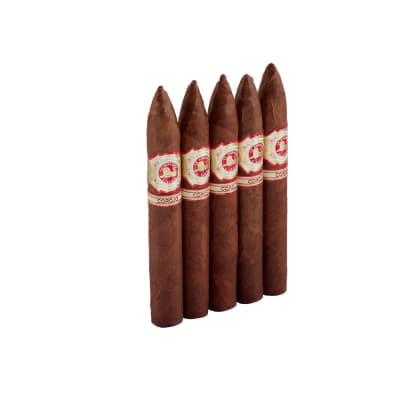 A true connoisseur's cigar, with a complex-tasting 3-nation filler that's not to be missed. 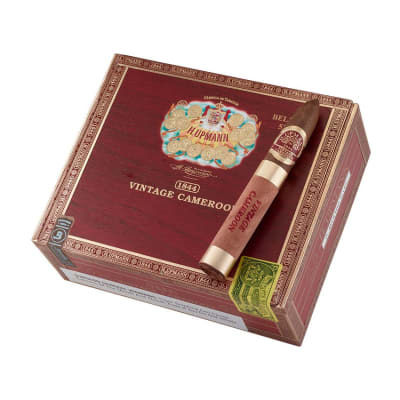 H. Upmann Vintage Cameroon Belicoso cigars offer the experienced cigar smoker a full-bodied, complex-tasting blend of rich Dominican, Nicaraguan and Peruvian tobaccos seamlessly handrolled in silky, Grade-1 African Cameroon wrappers for a well-balanced, luxurious and aromatic smoke. Try 5 first! 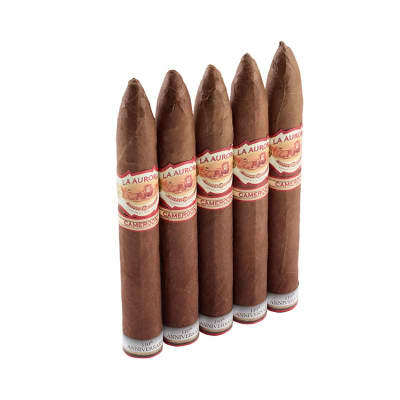 I bought a 5 pack of these H Upmann's and have been quite pleased. They light up easily, burn consistently, nice puffy smoke and a good flavor. I'd buy them again. Opened a box of 10, smoked two, no humidor time, simply magificent. This stick speaks The Language Of The Good Cigar. The H. Upmann Vintage Cameroon Belicoso has become my #1 goto cigar when I have time for a full hour or more of cigar-bliss enjoyment. When I first got these I noted that the appearance, construction and burn was equal with any premiums that I have ever had. The slightly toothy cameroon wrapper is protected by a cedar sleeve which is not my favorite but warranted with this delicate wrapper leaf. Fresh off the truck the draw was a bit tight, but the burn was like a razor edge, perfect as if it had months of age in my humidor. Two months of age has corrected the draw, and these are now as perfect a cigar as I can imagine. 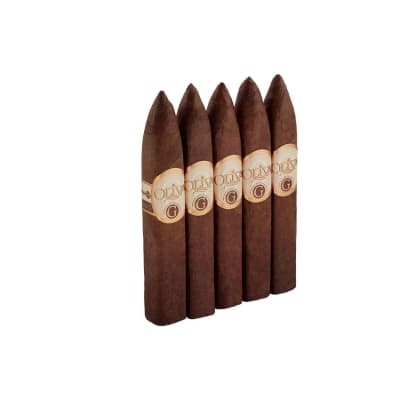 Flavor wise, these deliver perfect, woodsy, very earthy and mildly cedary smoke. They are more medium than mild, and can deliver a tiny bit of a nicotine kick. Midway through the smoke I find they develop a chocolaty, mocha flavor that holds through to the end. The finish is sweet, kind of like nutella on toast. 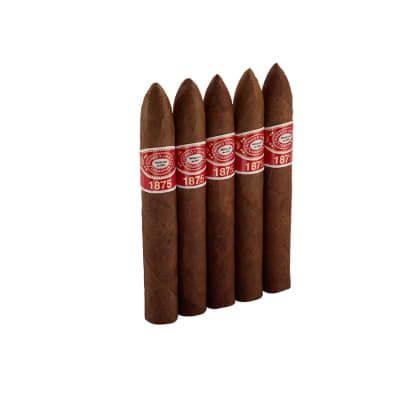 All in all these are a real bargain for someone who wants a true premium cigar from an old, established name and has time for a full sized smoke.